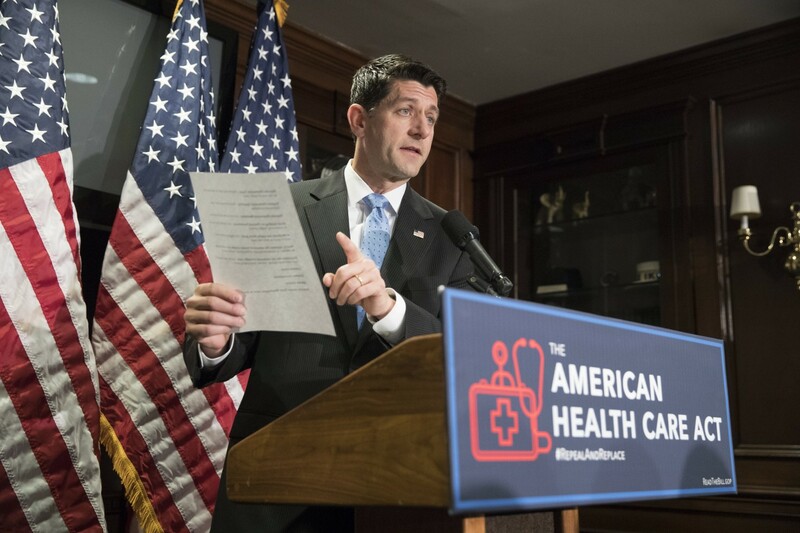 A bill to dismantle the Affordable Care Act that narrowly passed the House this month would increase the projected number of people without health insurance by 14 million next year and by 23 million in 2026, the Congressional Budget Office said Wednesday. That 10-year figure is slightly less than originally estimated. It would reduce the federal deficit by $119 billion over a decade, less than the $150 billion in savings projected in late March for an earlier version of the bill. And in states that seek waivers from rules mandating essential health coverage, the new law could make insurance economically out of reach for some sick consumers. “Premiums would vary significantly according to health status and the types of benefits provided, and less healthy people would face extremely high premiums,” the budget office concluded. The new forecast of the nonpartisan Congressional Budget Office, Capitol Hill’s official scorekeeper, is another blow to Republican efforts to undo President Barack Obama’s signature domestic achievement. The Senate has already said it will make substantial changes to the measure passed by the House, but even Senator Mitch McConnell of Kentucky, the majority leader, is sounding uncertain about his chances of finding a majority to repeal and replace the health law. Democrats say much of that instability [of the Affordable Health Care Act] stems from Republican efforts to repeal and undermine the Affordable Care Act. The Senate minority leader, Chuck Schumer of New York, harshly criticized House Republicans for voting on their revised repeal measure without an updated analysis from the budget office. 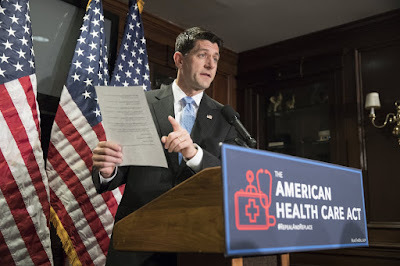 Under the House bill, states could opt out of certain provisions of the health care law, including one that requires insurers to provide a minimum set of health benefits and another that prohibits them from charging higher premiums based on a person’s health status. Jacob Leibenluft, senior advisor at the Center on Budget and Policy Priorities, said that the major takeaway from the CBO score is that Republicans’ talking points don’t hold up. AHCA supporters still claim that the waivers wouldn’t harm anyone who needed essential health benefits or anyone with preexisting conditions, but this bill doesn’t bear that out. “What the changes of bills have effectively done is resulted in system where sicker and older people are even worse off in terms of how much they would pay and quality of insurance coverage they would get.” Leibenluft said. Those changes would do little to boost overall coverage numbers, either.